Helping make a difference in this world by volunteering and giving back to our community, is of utmost importance to me. 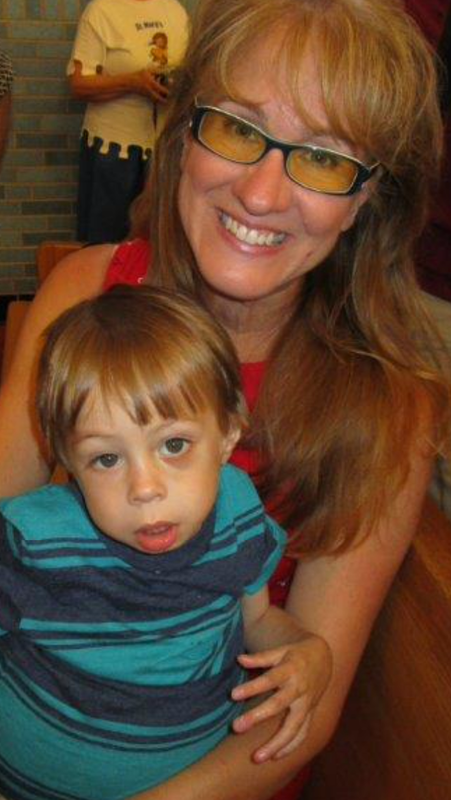 Kate holds Lucas, three weeks prior to transplant. LAMAR donated Billboard to SAVELUCAS awareness. 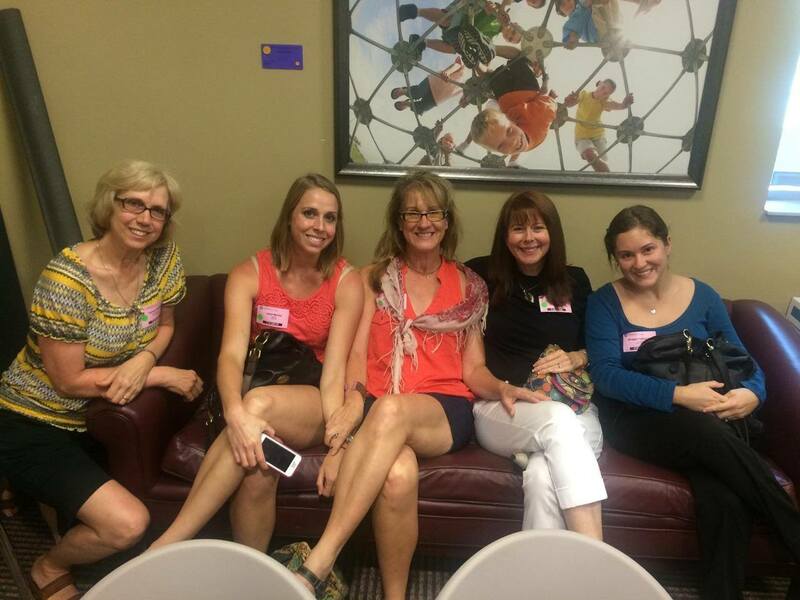 SAVE LUCAS Team, glorious morning of transplant, July 3, 2015, attending Press Conference together at Children’s Hospital of Pittsburgh. Thank you to cousin, Ryan Stegman, for the phenomenal and inspiring video work he created for our Save Lucas awareness campaign. “As Lucas’ grandmother and thinking back upon the journey he has been traveling, I can honestly say that Lucas is a fighter and that with God’s help he will continue to heal. Lucas’ journey began at birth when it was quickly discovered that he had a twisted and infected intestine. Surgery at one day old and the removal of a foot of diseased intestine was supposed to put him on the road to good health. However, within a couple months time and after blood tests and scans, Lucas was diagnosed with Biliary Atresia. When I read about this disease and the prognosis of it, my heart sank. Lucas had the Kasai procedure done, a surgery to help correct the problems with his liver, and was given an excellent prognosis. Unfortunately, it wasn’t long there after that we were given the bad news that a liver transplant would be the only thing to save him. For over a year and a half we, watched Lucas’ health deteriorate. In spite of the hospitalizations and tests done over and over, Lucas battled back. Our faith and prayer lives kept us hopeful for a successful transplant. It was heartbreaking to watch my oldest son and his wife do everything they could to help save their baby. Lucas spent the month of March, 2015, in the hospital. His doctors were sure that a liver would come available but none did. By June his health had deteriorated so much that he was given a month to live. We waited and still no liver was to be found. My niece, Bridget, and my sister, Kate, are Lucas’ true heros, his angels. They used their knowledge of social media and the Save Lucas FaceBook page ~ and the awareness campaign was launched, these were to become his saving graces. Further loving support came from forever friend Karen Fredette with her amazing knowledge of Public and Media Relations as well as from other family members. 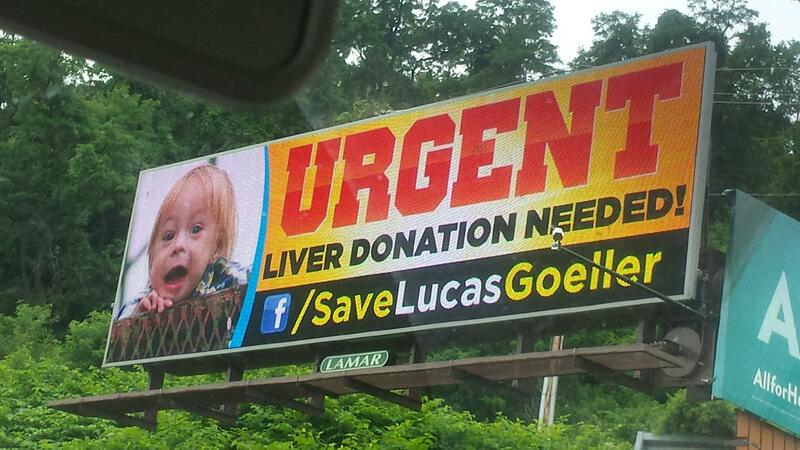 Within two day’s time, Lucas’ critically important page was liked and shared by thousands. Tina, another of Lucas’ angels, in N. Carolina, linked Lucas’ page with Olivia’s, Princesses Don’t Wear Pants, FaceBook page in Nebraska. Olivia was dying from a terminal brain tumor; she was only three years old. Our plea, via FaceBook, was for a directed donation of a liver; someone had to name Lucas as the recipient of their deceased one’s organ. Lauressa, Olivia’s mother, another angel, did just that. Lucas’ surgeons flew to Nebraska and evaluated Olivia’s organs upon her passing. They recommended to us, Lucas’ family, that because he was at the end of his little life, that we should accept Olivia’s liver in spite of mismatched blood types; Lucas is O- and Olivia was AB. We know that the Hand of God was in all of the events leading up to, during, and after the liver transplant. Lucas suffered organ rejection, the loss of his hepatic artery, and numerous infections, however, he fought hard. On Saturday he put on a cute pumpkin costume that I found for him; it fit over is still slightly extended belly, and he joined his little brother, Jacob, and his big brother, Cooper and we went trick or treating. It is a joy beyond belief to see him walk and talk and argue and get into mischief; he is making up for lost time. Lucas’ thousands of followers comment daily on the FaceBook posts, as he has gathered quite a following through social media. Each time I talk about Lucas and this journey, I do so with tears in my eyes. They are tears of happiness and joy and hope. Kate has helped foster the dreams of other artists, such as Abede Geleta. Sponsoring the education of this young Ethiopian artist has enabled him to secure a job as an artist and an art teacher in Addis Abbaba, where he now supports his extended family of eight people. A successful 2010 summer concert event, raised $7000 donated to an Ethiopian Spiritan Mission Project. As well as coordinating the Event, Kate utilized artwork provided by Geleta for auction materials as a giving-back and resource to add proceeds to the Auction. Singer, songwriter and comedian, Cahal Dunne entertained in front of a full house. To contribute additional donations please contact Ms. Rose Stegman, Religious Education Director at St. Mary’s Parish, Glenshaw, PA. The Creative Cabin | Copyright © 2019 | All Rights Reserved.